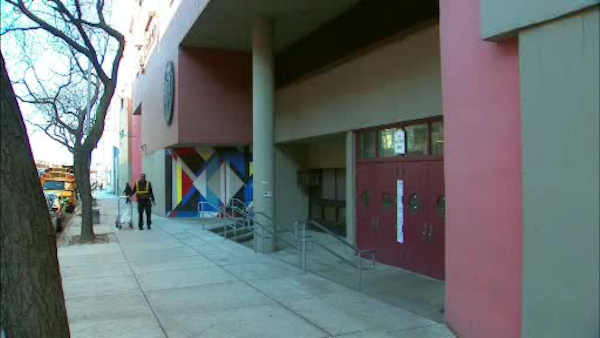 HELL'S KITCHEN, Manhattan (WABC) -- Students at a New York City culinary high school face a big problem: most of the appliances they need to learn cooking don't work. The students at Food and Finance High School definitely know their way around the kitchen, even with five of their six classroom kitchens not working. "We've been having problems ever since I was a freshman," said senior Elio Alvarez. The chairwoman of the Food Education Fund which supports the school, says the kitchens were working just fine until they were turned over to the School Construction Authority in June for maintenance. Since then the learning spaces filled with ovens and ranges have had ongoing gas issues forcing students to improvise with textbooks instead of hands on training. "Some of the kitchens the heat wasn't on so it was cold and the ovens weren't working," said junior Akaima Davila. "Everyone is frustrated because we came to this school to cook, like for us to not cook it's like we're just wasting our time using textbooks," said Alvarez. Students we talked to say frustrations have reached a boiling point, with some students now looking to transfer out of the specialty public school. "Many students are like transferring now because they came here to cook and since we're not cooking there's no point of being in the school," Alvarez said. Meanwhile the New York City Department of Education says they are working closely with the school and providing ongoing support to equip students with what they need. In a written statement a spokeswoman said "The necessary repairs are being completed and we expect all of the kitchens to be fully operational in the next month, pending an inspection by the FDNY."